StarWind Virtual SAN for vSphere comes as a prepackaged Linux virtual machine to be installed as a VM on vSphere. It creates a VM-centric and high performing storage pool for VMware Cluster. This guide is intended for experienced system administrators and IT professionals who would like to install and use StarWind Virtual SAN as a shared storage back-end. It describes the deployment and configuration process of the StarWind Virtual SAN with VMware vSphere. Prepackaged VM with StarWind Virtual SAN downloaded from StarWind website. StarWind Virtual SAN VM requires to have minimum of 4 virtual processors with 2 GHz reserved, 4 GB of RAM, 3 NIC ports dedicated as separate vSwitches for management, StarWind synchronization and iSCSI traffic to ensure the proper functioning of Virtual SAN. 1.Download zip archive that contains StarWind Virtual SAN for vSphere. 3. 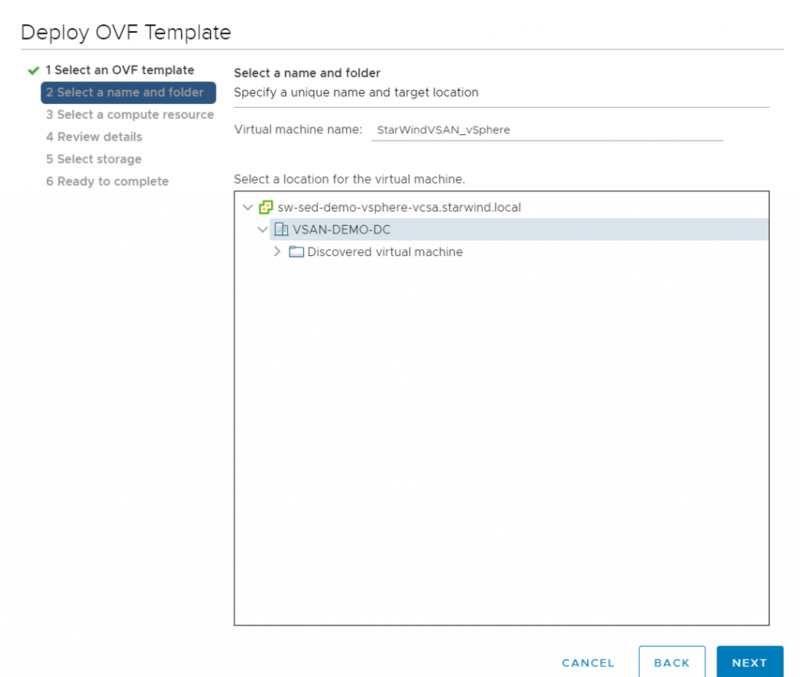 Deploy a virtual machine to the vSphere. 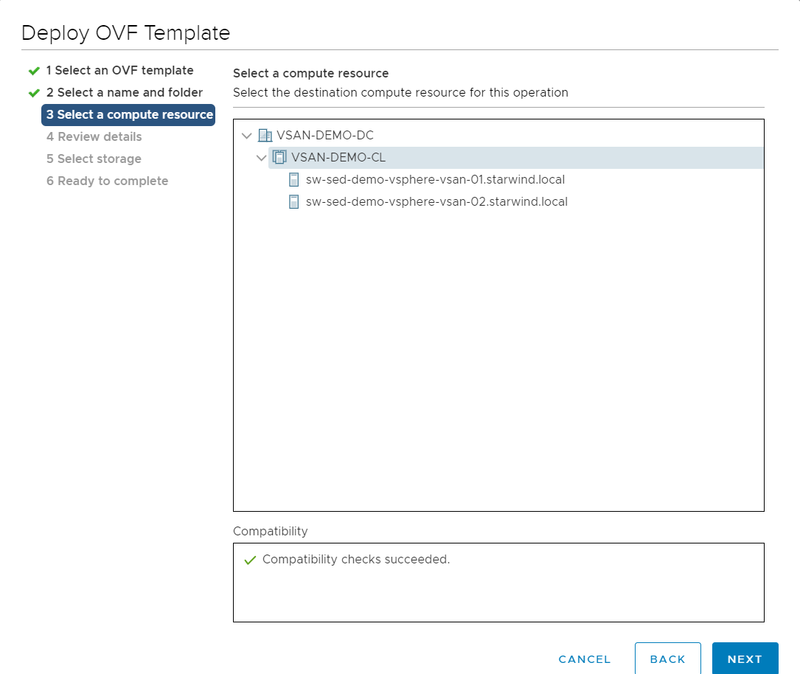 Right-click on the host and select“Deploy OVF template” from a drop-down menu. 4. In the first step of the wizard, point to the location of the OVF template. Select VM files and click Next. 5. 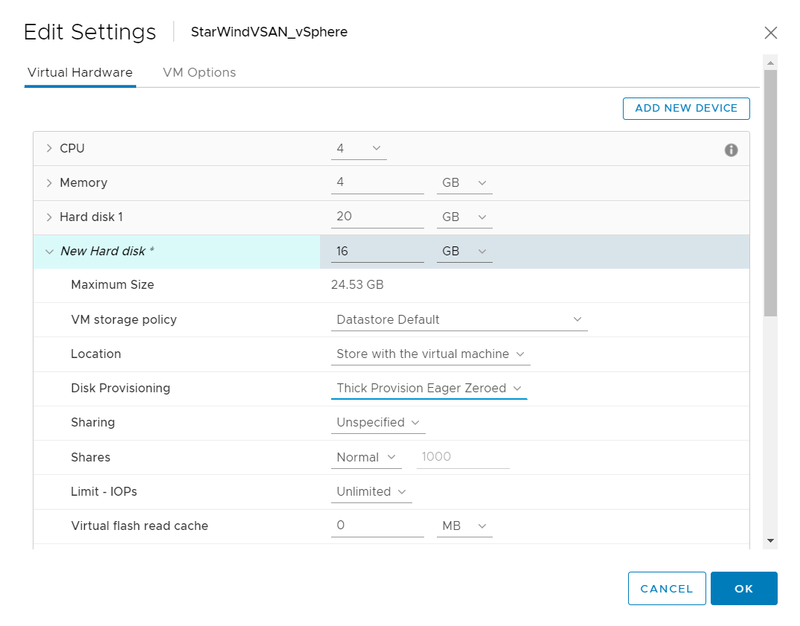 Specify the name and location for the StarWind Virtual SAN VM. 6. Select a resource for the StarWind Virtual SAN VM. 7. Review the information about the VM. 8. 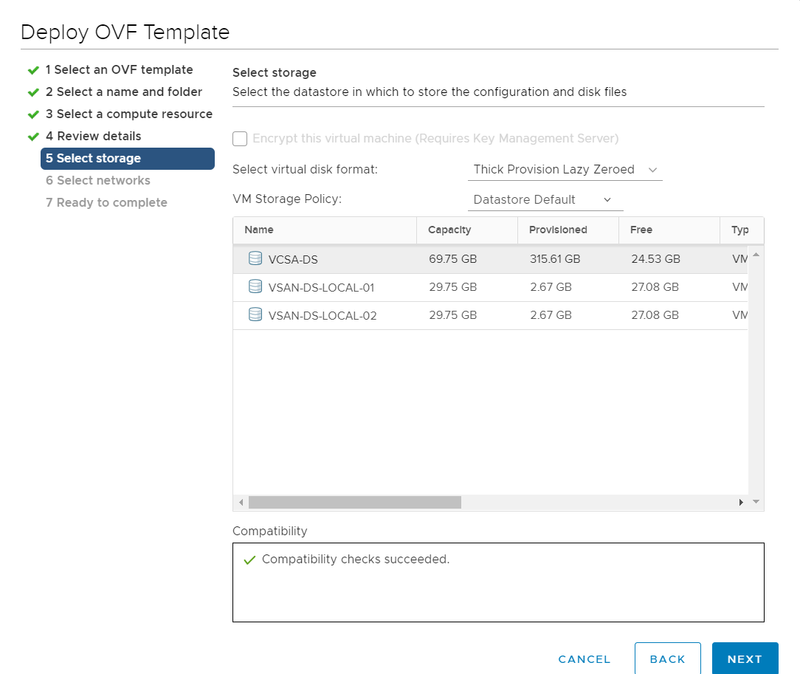 Select the storage for the VM. 9. 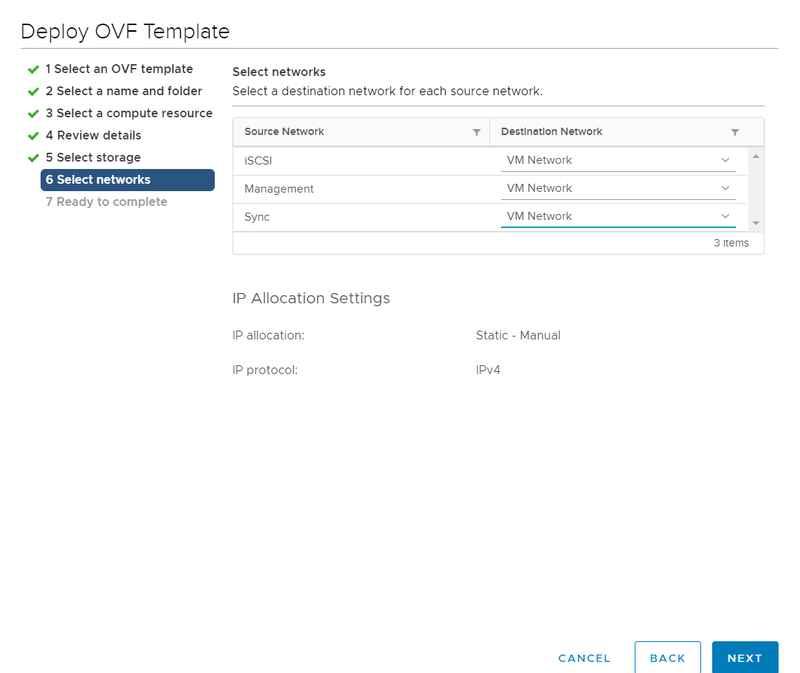 Select networks for the VM. 10. Click Finish to start the deployment process. By default, the StarWind Virtual SAN virtual machine will receive IP address automatically via DHCP. It is recommended to create a DHCP reservation and set a static IP address for this VM. 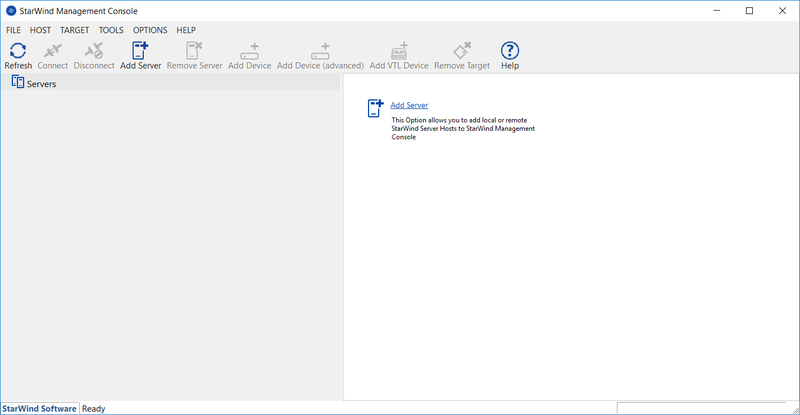 In order to access StarWind Virtual SAN VM from the local network, the virtual machine must have access to the network. 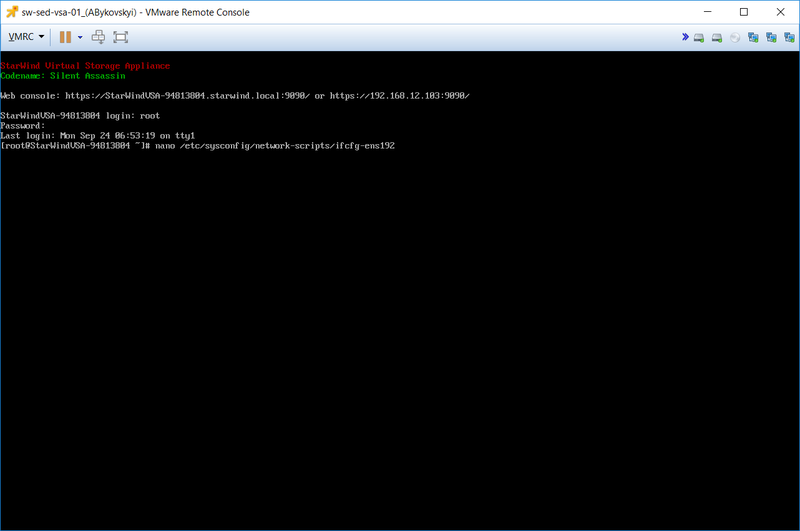 In case there is no DHCP server, the connection to the VM can be established using the VMware console and static IP address can be configured manually. 11. Next, open a web browser and enter the IP address of the VM, which it had received via DHCP (or had it assigned manually). By default, the Management link should have ens192 interface name. Configuration file should look as following. 13. After the successful login, on the left sidebar, click Accounts. Select a user and click Set Password. 14. On the left sidebar, click Networking. 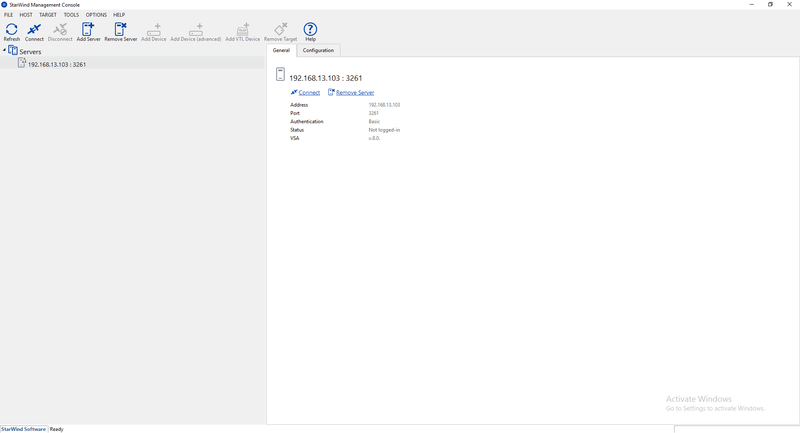 Here, Management IP address of the StarWind Virtual SAN Virtual Machine, as well as IP addresses for iSCSI and Synchronization networks can be configured. In case Network interface is inactive, click on the interface and turn it on. NOTE: StarWind Management Console and Powershell Management Library are required. 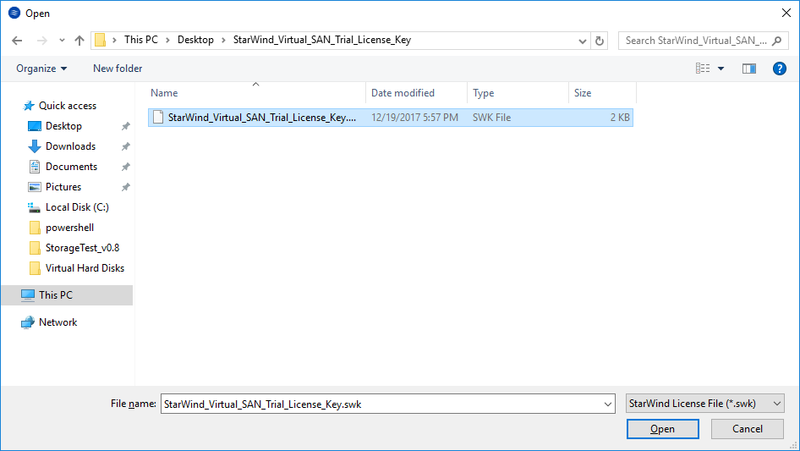 Once the appropriate license key has been received, it should be applied to StarWind Virtual SAN service via Management Console or Powershell. Open StarWind Management Console and click Add Server. 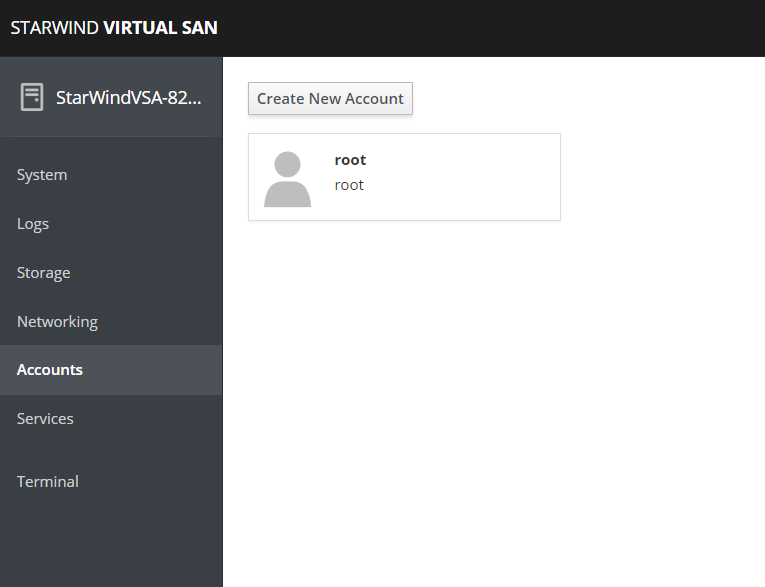 Type the IP address of the StarWind Virtual SAN in the pop-up window. Click Apply Key… on the pop-up window. Select the appropriate license key. Type the IP address of StarWind Virtual SAN VM and credentials of StarWind Virtual SAN service (defaults login: root, password: starwind). 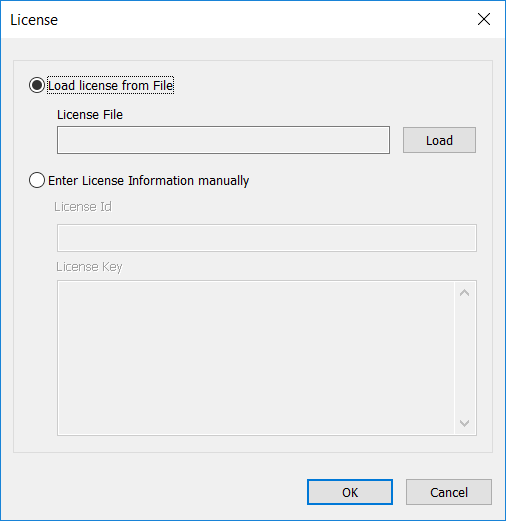 Add the path to the license key. 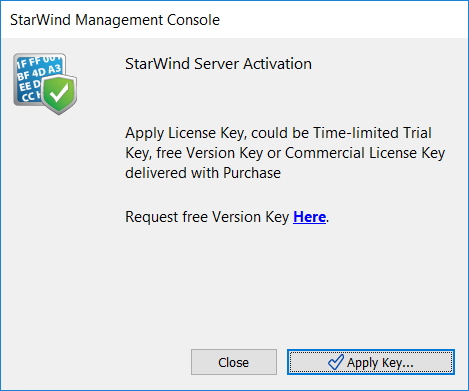 After the license key is applied, StarWind devices can be created. NOTE: In order to manage StarWind Virtual SAN service (e.g. 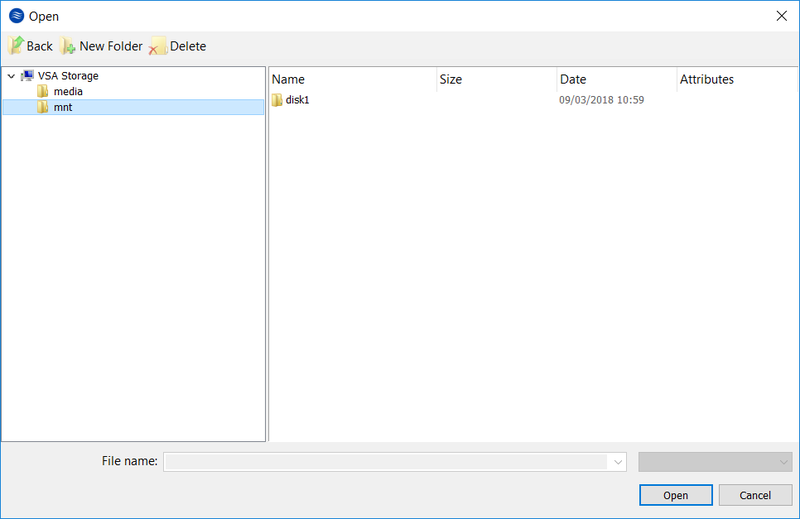 create ImageFile devices, VTL devices etc. ), StarWind Management Console can be used. StarWind Virtual SAN for vSphere can work on top of Hardware RAID or Linux Software RAID (MDADM) inside of the Virtual Machine. This part describes the deployment process of StarWind Virtual SAN HA devices on top of Hardware RAID. 18. 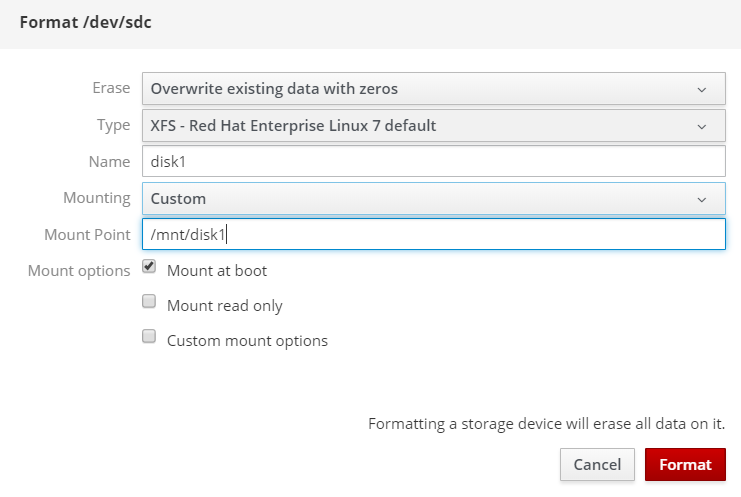 Add a new virtual disk to the StarWind Virtual SAN VM. (Make sure it is Thick Provisioned Eager Zeroed). Virtual Disk should be located on the datastore provided by hardware RAID. Find the Virtual Disk which was added. HINT: The added disk does not have any partitions and filesystem. 19. On the storage page of the disk, navigate to the Filesystem tab. Click Mount. 20. 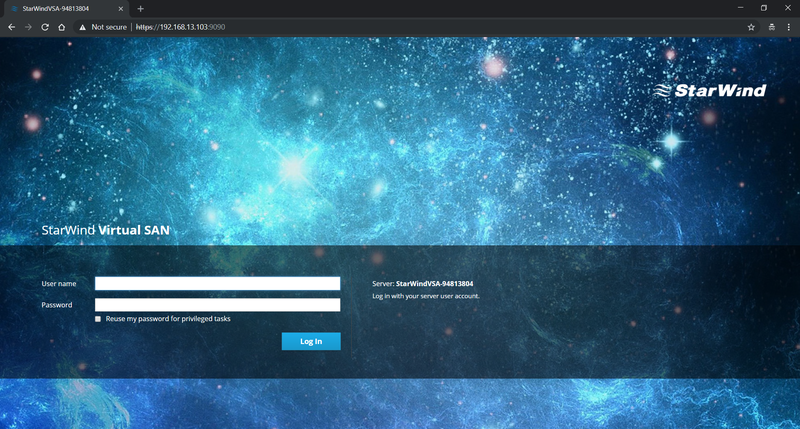 Connect to StarWind Virtual SAN from the StarWind Management Console or from Web Console. Click Yes. Select the disk which was recently mounted. StarWind Virtual SAN for vSphere has been deployed and configured successfully. Now, the shared storage can be created and connected to the cluster.